Mamfredas Resort is a luxurious complex located in the centre of the resort of Tsilivi, just 50 meters from the sandy beach. 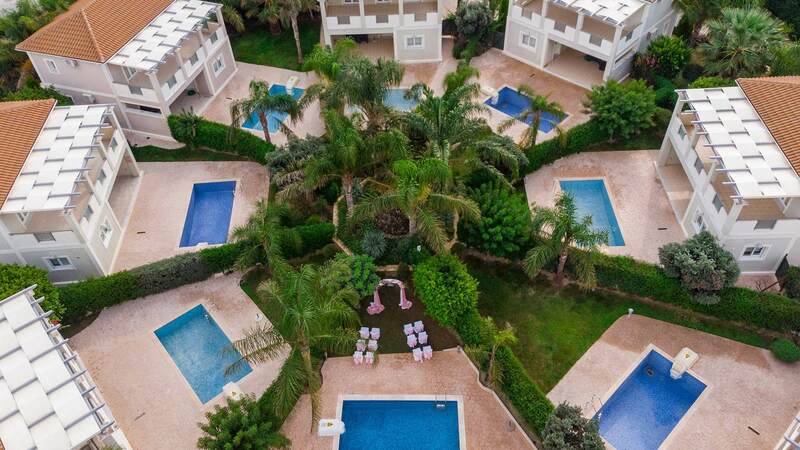 We have created these exquisite villas with our guests needs in mind and constructed eight charismatic private homes each measuring 140 square meters and set in attractive gardens. 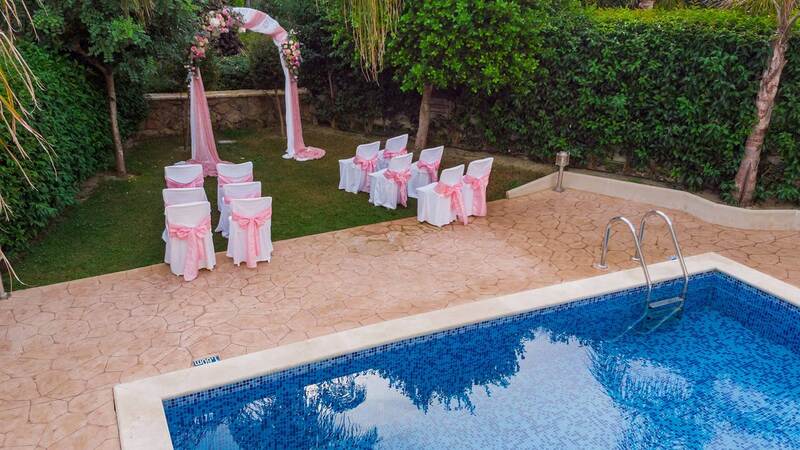 Our private grounds measure 5,000m² and have been divided in a unique way to present eight superior villas which can accommodate 6-8 guests, each with their own private garden, private swimming pool and private parking. 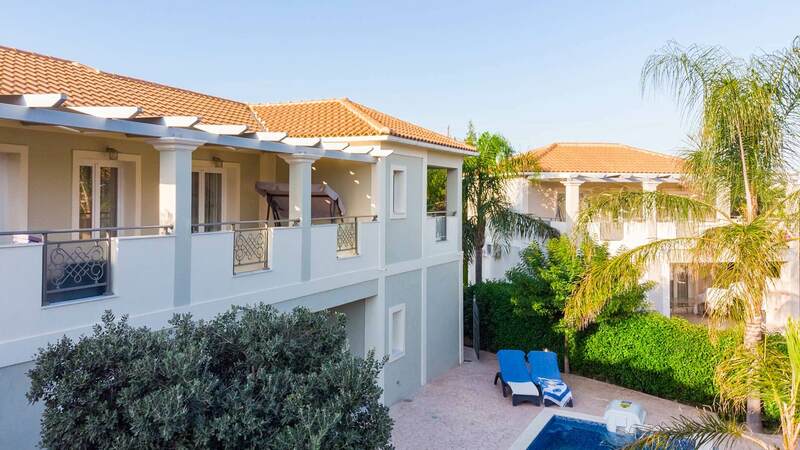 This is an ideal retreat for families or groups of friends seeking a relaxing holiday, with privacy in the centre of one of the most popular resorts of Zakynthos. 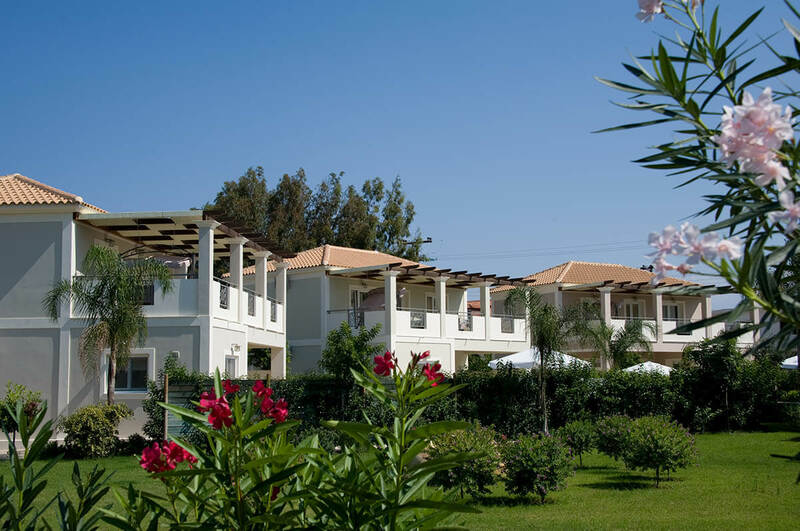 We offer spacious two-storey villas with 2 or 3 bedrooms that can accommodate up to 8 people. Our complex provides many facilities and services that will make your stay comfortable, relaxing and fun. Stayed here for a week with 6 friends in two villas. Food and drink stocked in the fridge on arrival for us so no trek to the shops. Amenities excellent. It was cleaned on a daily basis. Each bedroom had its own bathroom and Tv. Docking station for your music WiFi. I would recommend it to anyone. Didn't want to come home and would definitely go here again. Loved it. 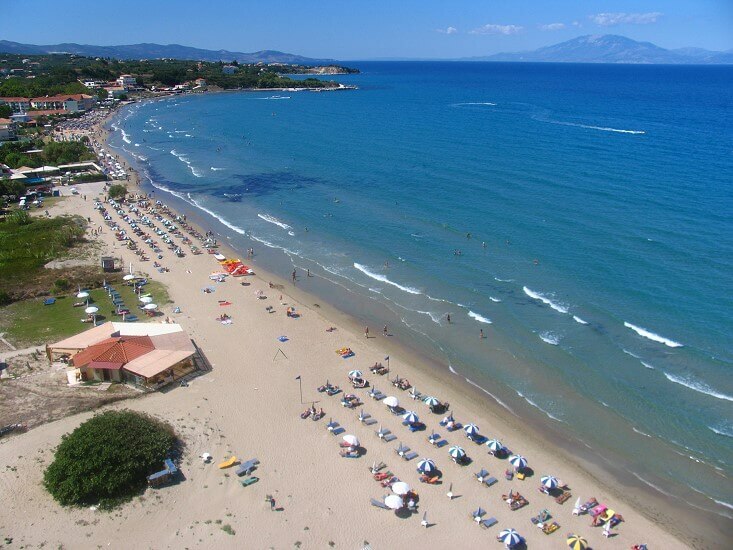 The beach in Tsilivi is very well known as it is rewarded with a blue flag every summer due to the cleanliness of its waters. It is sandy with some rocky parts and shallow, ideal for children. You will find many beach bars and water sports you can try, as well as more quiet parts where you can just lay your towel and enjoy the sun. 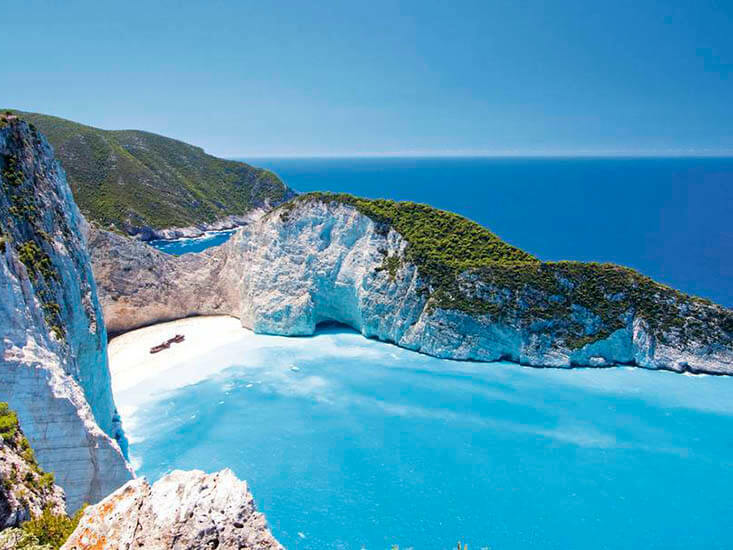 Zakynthos is one of the most beautiful islands in the Ionian Sea. It is naturally beautiful and green with many traditional mountain villages. It is famous for its exceptionally beautiful beaches such as the Shipwreck Cove which has been voted as the most beautiful beach in the world and the endangered Caretta Caretta turtle which chooses its beaches to lay its eggs.